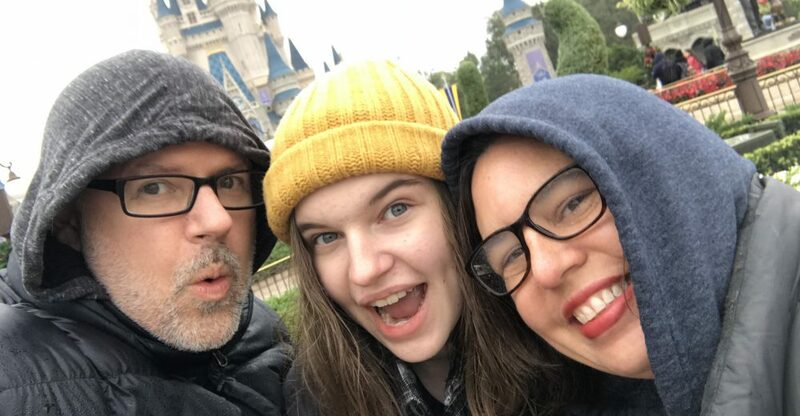 I’ve been trying to take some time each day to remember why we celebrate this season. And with these quiet times, comes memories. Lots and lots of memories of Christmases past. While doing the Great Christmas Bake (Round 1) on Tuesday, I was having one of these reflective times while I was making fudge. Fudge = reflective? Well, yes when you consider the fact that I’ve been making this same fudge for at least 25 years. That’s a little freaky to say, but it’s true. Same fudge recipe for 25 years. I’m not even sure if it’s written down anymore. I just make it. And it’s SO easy. I made it this year for my co-workers. It was again a hit. I’m making another batch for my volunteers at church for Sunday. I figure, why mess with a good thing. I’ll just keep making my same old fudge. And, I thought I’d share the recipe with you. 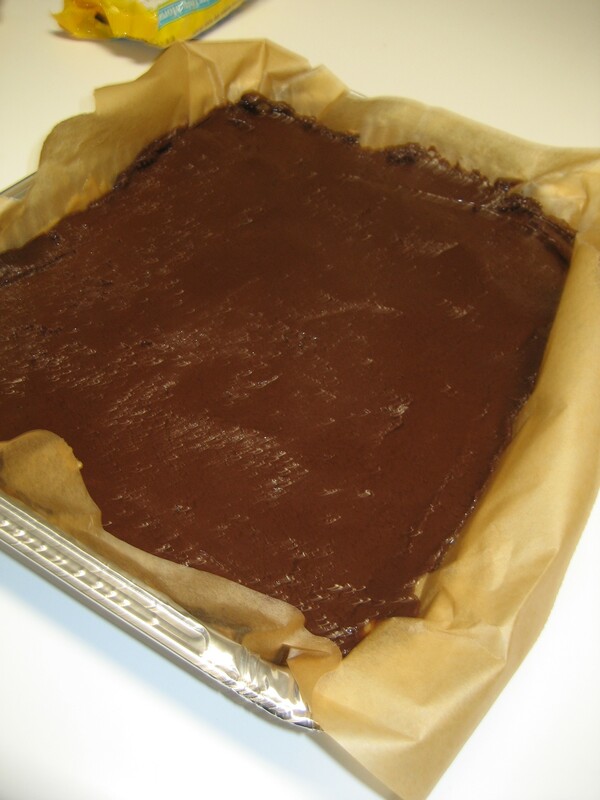 Line and 8×8 pan with parchment paper and have a space cleared in your fridge before you begin. 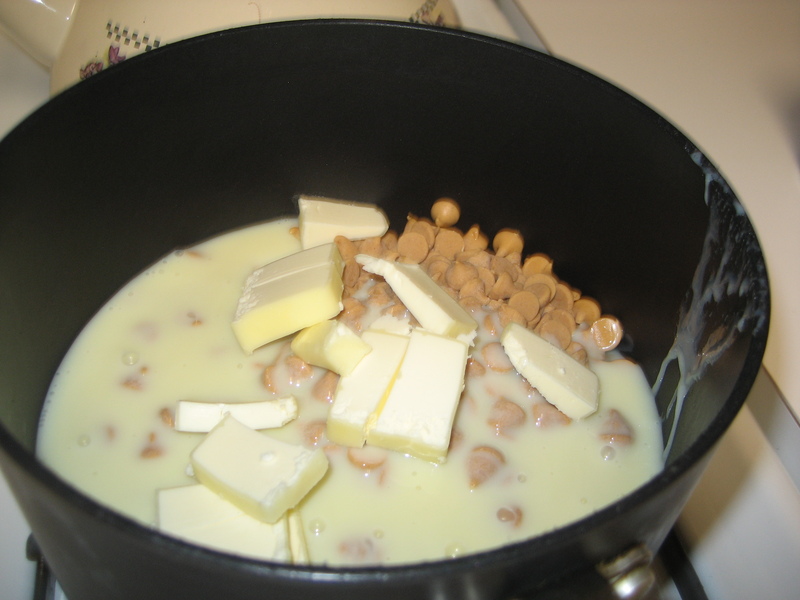 Melt the peanut butter chips, 2 tbsp butter, and one CUP of the milk in a medium saucepan. Be sure to stir continuously to get it melted evenly. 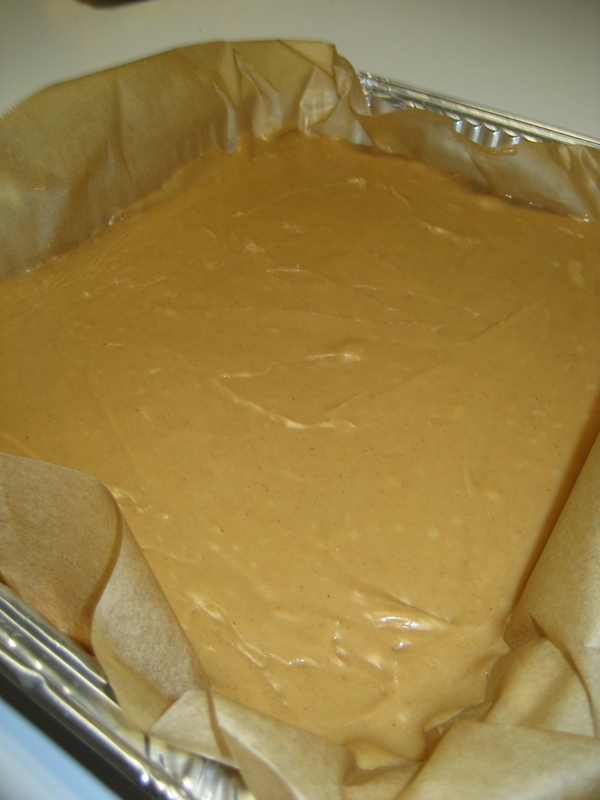 Place the peanut butter chip mixture in the pan and spread out evenly. Stick the pan in the fridge to cool. 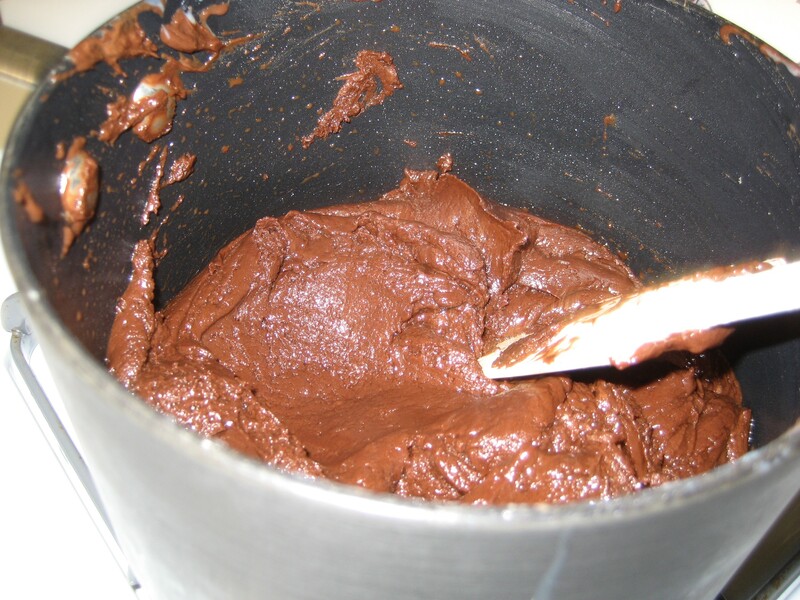 Melt the chocolate chips, 2 tbsp butter, and remaining milk in a small saucepan. Be sure to stir continuously to get it melted evenly. Be careful as the chocolate chips melt faster than the peanut butter ones. 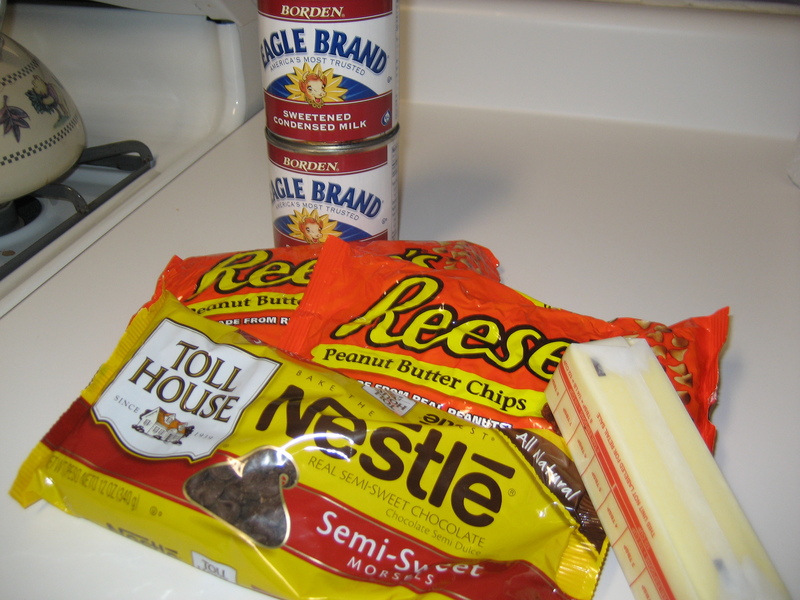 Spread the chocolate chip mixture over the peanut butter mixture evenly. Place in the fridge and let cool for several hours. Take pan out of the fridge and transfer the whole block to a cutting board. This is much easier to do if you’ve used parchment paper. Let it soften a little bit and then cut into desired size pieces. You want them to be relatively small as it’s sweet. 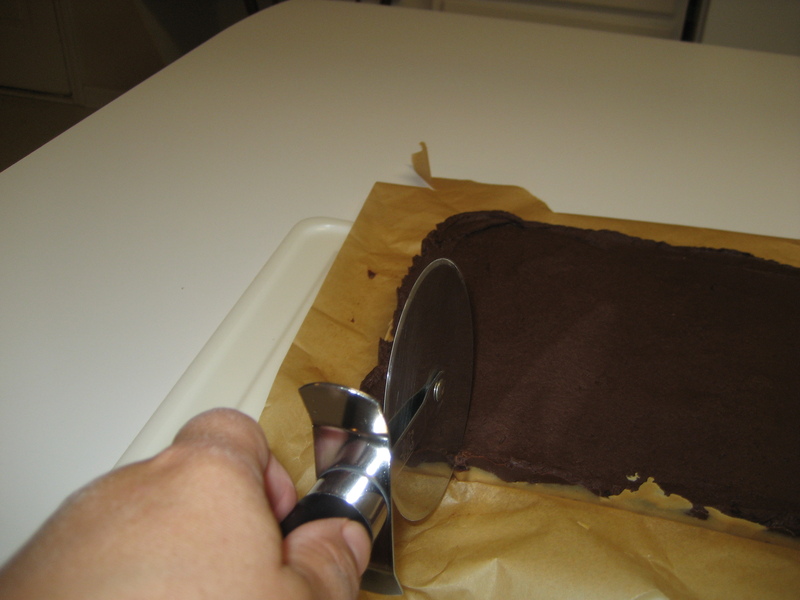 I use a pizza cutter to cut my fudge. So easy. Then place them in a fun Christmas container, and you’re ready to give it away. OR, you could take that container, sit on the couch with a Christmas classic on TV and just enjoy. What’s one of your traditional recipes? Linked to Eat at Home Ingredient Spotlight: Sweetened Condensed Milk. That looks delicious!! And so pretty too in the container:) I made some earlier this week, but I think I need to try your recipe out!! what size bag of peanut butter chips? what size bag of peanut butter chips please?? Kathy – I’ve only ever seen PB chips by Reeses in the 10 oz bag. So, that’s what I use. 6 oz bag of chocolate chips? 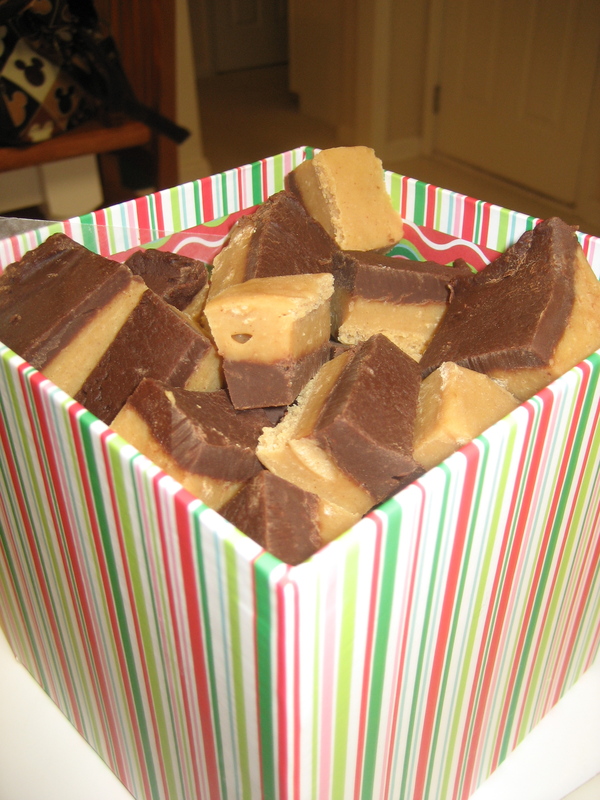 I make fudge with the Sweetened condensed milk and I use a 12 ounce bag. 6ounces would not firm up and I have never seen a six ounce bag. Is this a typo? It looks good. I make mine in the microwave! Even easier! Not a typo – I use a six ounce bag. It’s usually only Nestle brand that you can find a 6oz bag. I typically just use half a 12 oz bag/one cup. It does firm up because there is SO little sweetened condensed milk left in the can after you pull the 1 cup out for peanut butter part. So, it works out great. Can coconut oil (expeller pressed, doesn’t smell or taste like coconut) be substituted for the butter? I have never tried either one of those things. I’m thinking the coconut oil might be able to be used, but I’m not sure about totally replacing the chips all together. There are too many things in the chips besides just peanut butter that you wouldn’t get the same consistency or flavor with just peanut butter. If you try with the oil, I’d love to hear how it turned out. I do typically keep it in the fridge. That’s a good point. I should add that to the post! Thanks.